The Auburn University Student Center Ballroom was recently filled with more than 275 middle school and high school students over two days excited to showcase their projects for the Greater East Alabama Regional Science and Engineering Fair (GEARSEF). 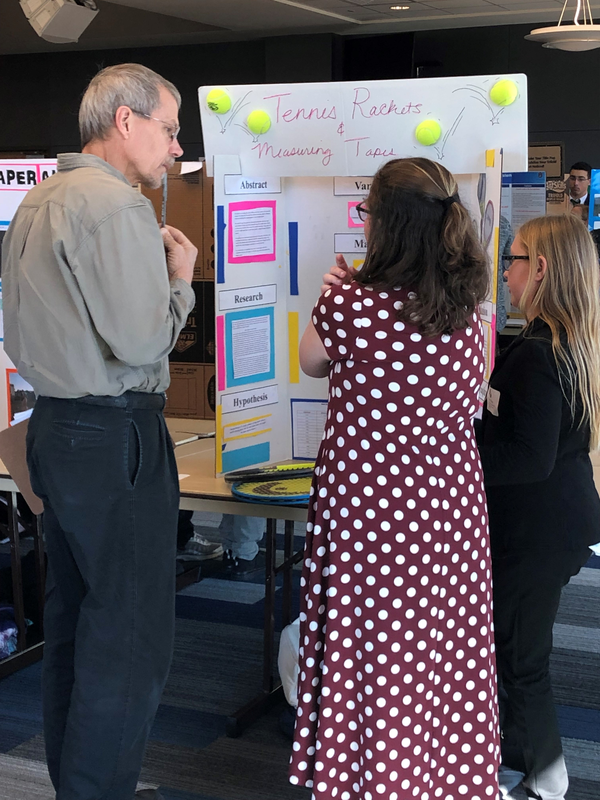 Co-sponsored by the College of Sciences and Mathematics (COSAM) and the Samuel Ginn College of Engineering, GEARSEF was held on March 6-7 and is a regional fair for the Alabama Science and Engineering Fair (ASEF) held in April at the University of Alabama Huntsville. It is also a regional affiliate fair of the Intel International Science and Engineering Fair (Intel ISEF), the world's largest international pre-college science competition. GEARSEF is open to all students in grades 6-12 who have advanced from their local science fair and reside within one of 19 participating Alabama counties. The projects were separated into seven categories that included everything from Plant and Animal Sciences, Chemistry and Biochemistry to Medicine and Health Sciences, Physics and Astronomy. More than 80 judges from the university and community spoke with the participants and scored the projects. Fifty-five projects from the GEARAEF event qualified to compete at ASEF in April. Karley Bordeaux and Lexi Lett from Greenville Middle School in Greenville, Alabama, showcased their project titled “Which Popcorn Popped the Best?” The girls tested three different brands of popcorn to find out which had the least amount of kernels left after the recommended microwave time. 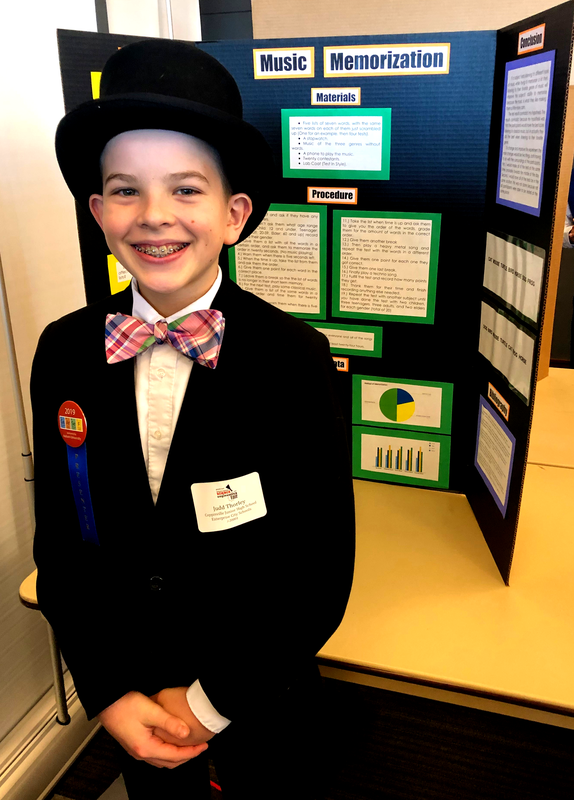 Judd Thorley, a student from Coppinville Junior High School in Enterprise, Alabama, showcased his project titled “Music Memorization,” which tested how listening to different types of music can affect memorization. Judd tested 20 participants with word memorization and learned that the subjects that listened to music they enjoyed memorized the words more easily. Shawn Jacobsen, a laboratory coordinator for the COSAM’s Department of Biological Sciences, served as a judge at the event. He said his criteria for scoring was based on the creativity of the projects and if the scientific questions were ones that had not asked before. Paul Cobine, an associate professor in COSAM’s Department of Biological Sciences, also served as a judge for the event. He said participating as a judge is one of the most fun things he gets to do as a faculty member. “The passion and enthusiasm for their projects of all description, and the raw talent of these young scientists and engineers from all over our region, is absolutely inspiring for me,” he said. Judd Thorley, a student from Coppinville Junior High School in Enterprise, Alabama, showcased his project titled “Music Memorization” at this year's event. 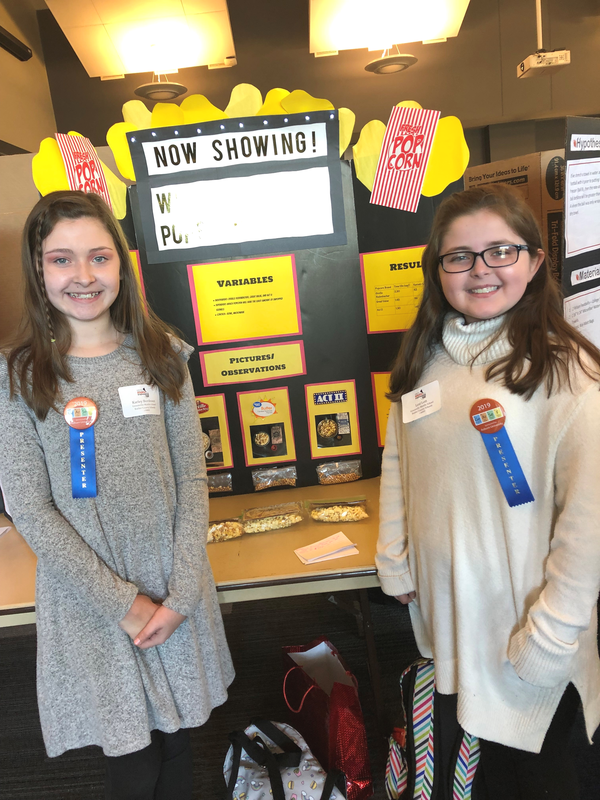 Karley Bordeaux and Lexi Lett from Greenville Middle School in Greenville, Alabama, proudly standing with their project “Which Popcorn Popped the Best?” at this year's event. COSAM's Shawn Jacobsen speaking with students about their project.